Although Australians have maintained a good appetite for chocolate, not quite as many Australians are eating blocks of chocolate as they used to, according to findings from market research organisation Roy Morgan Research. Forty per cent — 7.7 million Australians aged 14 and older ate some of at least one chocolate block in an average four weeks in 2013, down from almost 8 million (45 per cent) in 2009. Although Cadbury remained the clear market leader, the number of consumers eating the brand had fallen 6 per cent from 6,088,000 five years ago (34 per cent of Australians aged 14 and older) to 5,720,000 (30 per cent). 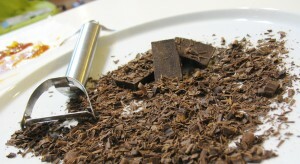 Roy Morgan Research said this drop reflected the decline in chocolate consumption overall. Swiss chocolate brand Lindt, however, bucked the trend. Lindt fed an average 1,315,000 Aussie consumers a month in 2013, a gain of 217,000 (20 per cent) since 2009. Roy Morgan Research said the increase put Lindt ahead of compatriot Nestle as Australia’s number two chocolate block brand. “Over the past few years Lindt chocolate has developed new campaigns, opened up cafes and its flavour range seems to take up ever-more space on supermarket shelves,” said Angela Smith, Group Account Director – Consumer Products, Roy Morgan Research. “With both Cadbury and Lindt launching new flavours and campaigns it will be interesting to see if Cadbury can win back customers and if Lindt can maintain its growing share,” Ms Smith said. In 2009, Australians aged under 25 were the most likely to eat block chocolate, with 48 per cent of them eating some in an average four weeks. However, Roy Morgan found this had declined year by year to 41 per cent in 2013. Consumption among 35-49 year-olds had also fallen, from 46 per cent to 40 per cent. Each group’s consumption of Cadbury chocolate had declined at a similar rate. In 2013, the most likely to eat chocolate blocks in a four week period were those aged 25-34 (41.9 per cent). Around 1 in 12 consumers in that age group said they now ate Lindt, up from 1 in 15 five years ago. “The growth in Lindt block chocolate consumption is being driven mainly by Australians aged 25-34, while chocolate block consumption generally is declining in other age groups,” Ms Smith said. Cadbury contacted Australian Food News with a response to the Roy Morgan Research findings. “We are the undeniable leader on many fronts; the most trusted confectionery brand in the country continually brining new chocolate experiences to consumers including through the ever-joyful Cadbury Dairy Milk Marvellous Creations and the newly launched Cadbury Dairy Milk Picnic block” a Cadbury spokesperson told Australian Food News. “We do this all while making each and every one of our chocolate blocks in Australia, as we have been doing so for more than 90 years. And to confirm, half the chocolate blocks sold in Australia are Cadbury Dairy Milk blocks according to official independent data,” she said. Fibre One snacks are now available in Australian supermarkets.